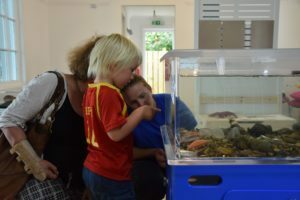 As part of their series of summer activities the Community of Arran Seabed Trust (COAST) hosted a fun filled day at their Octopus Centre in Lamlash with the theme of – children’s favourite – sharks. 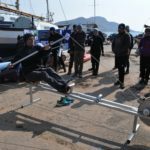 The initiative, while aimed at providing fun and entertainment for children, also provided interested parents and children with information on conservation and marine wildlife preservation. 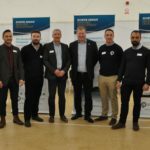 Through a series of fun activities children learned of the work that COAST have been undertaking in collaboration with the Scottish Shark Tagging programme and the Scottish Sea Angling Conservation Network. On offer were fun games, which included a giant skates and rays game whose rules followed those of snakes and ladders. Children – many with their faces painted as sharks – learned fun facts about sea-life while trying to beat their friends to the finish. COAST also had their popular touch tank on display which included a cushion star, hermit crabs, sea urchin, queen scallop and a lobster. There were also some discarded shells and claws – found on the beaches – which visitors could handle without the threat of being pinched. For interested adults, COAST provided information on this year’s research project which will take place over the summer. Each year, COAST host Masters students who complete research in and around the MPA. This year, they have two University of York students on placement. 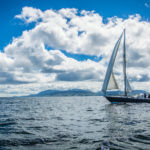 One of these, Ieuan Jones, is working with Glasgow University PhD Candidate Natasha Walker-Milne to investigate fish diversity all around the South Arran Marine Protected Area using underwater cameras. Ieuan set up a small display explaining his research, with photographs from some of the surveys they have completed so far. Ieuan said: ‘We are taking hour long videos at lots of sites all around the South of Arran at different depths, counting the numbers of different species in each video as well as the number of individuals from each species. The most unusual and exciting observation made so far is that of a Spurdog – a type of shark – which used to be common in our waters but one hasn’t been spotted by divers in a few decades. 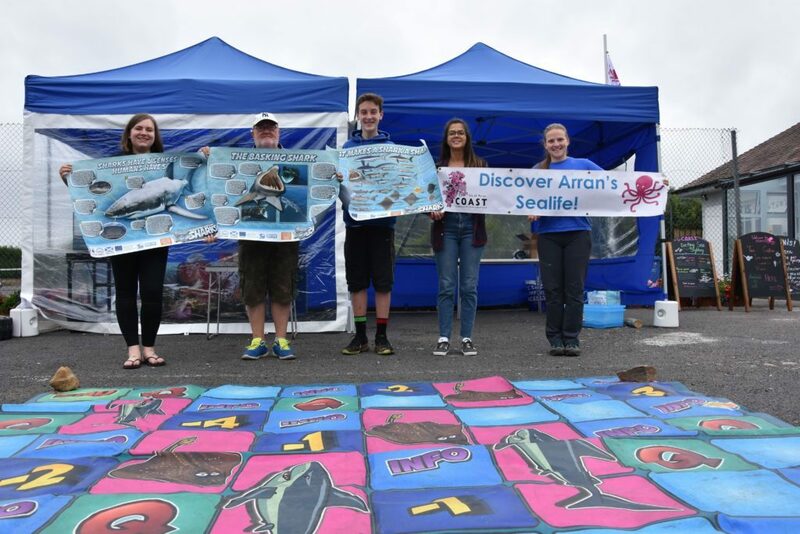 The fun day, which was well attended, aimed to promote sustainable fishing, including sea angling within the South Arran Marine Protected Area, while also providing fun and enjoyable activities for children during the summer holidays. Young Cameron Archibald and mum Shelagh learn about live sea creatures from Coast’s Jenny Stark.